In April of 1994, a new law affecting in-home childcare providers placed by employment agencies became active. This law required any in-home child care provider (nanny, au-pair, babysitter) placed by an employment agency to be a TrustLine Applicant or Registered TrustLine childcare provider. A TrustLine Applicant is a caregiver whose application is in process. A Registered TrustLine Childcare provider is a caregiver whose application has cleared the background checks ran by the Trustline program. A placed child care provider is a candidate hired by the employment agency’s client to provide care in the client’s home to their child(ren). In-home childcare providers from employment agencies are required to be registered with TrustLine. Nannies, au pairs, and babysitters hired from other sources are not mandated by law to be TrustLine registered. TrustLine was created by the California Legislature to offer parents, employment agencies, Child Care Resource and Referral Programs and child care providers access to a background check conducted by the California Department of Social Services (CDSS), which includes checks of the California Criminal History System and Child Abuse Central Index (CACI) at the California Department of Justice (DOJ) and a check of Federal Bureau of Investigation (FBI) records. The TrustLine Registry is made up of childcare providers who have submitted an application and their fingerprints to the CDSS TrustLine clearance process. Individuals listed on TrustLine do not have 1) disqualifying criminal convictions listed on the California Criminal History System; 2) substantiated reports of child abuse listed on the California Child Abuse Central Abuse Central Index and 3) disqualifying criminal convictions listed on the Federal Bureau of Investigation Criminal History System. Are All Nanny Candidates Trustline Registered When Interviewed? 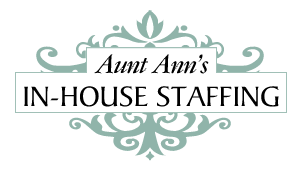 Approximately 75% of the candidates interviewed by Aunt Ann’s In-House Staffing are already TrustLine Registered when they are looking for representation by the agency. If a nanny is not registered with Trustline when they are hired by a client, the TrustLine application is processed by the agency once the Client (parents) and candidate (in-home childcare provider) have mutually agreed upon employment commencing and a starting date is confirmed. How Long Does It Take For An In-home Provider To Be Registered With Trustline? Results may take 6 to 12 weeks in most cases for the California Department of Social Services. The results from the Federal Bureau of Investigation (FBI) can take up to 6 months for review. The TrustLine Registry is maintained by the California Department of Social Services (CDSS) and may be checked through the California Resource and Referral (R &R) networks. Parents can call 800-822-8490 between the hours of 9:00 am and 5:00 pm Monday through Friday to determine if the child care provider s/he is considering has registered with TrustLine. Need More Information? Visit www.trustline.org.